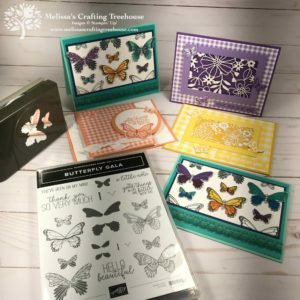 For today’s blog post I played with several paper decoration ideas where I started with designer papers and added stamping to create some very fun results. 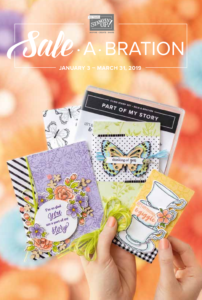 I’ll be sharing four of the designs I created today. 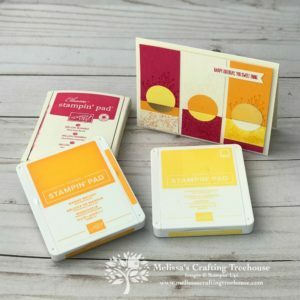 For these cards, I’ve used the Wood Textures and Neutrals Designer Paper packs for stamping on. 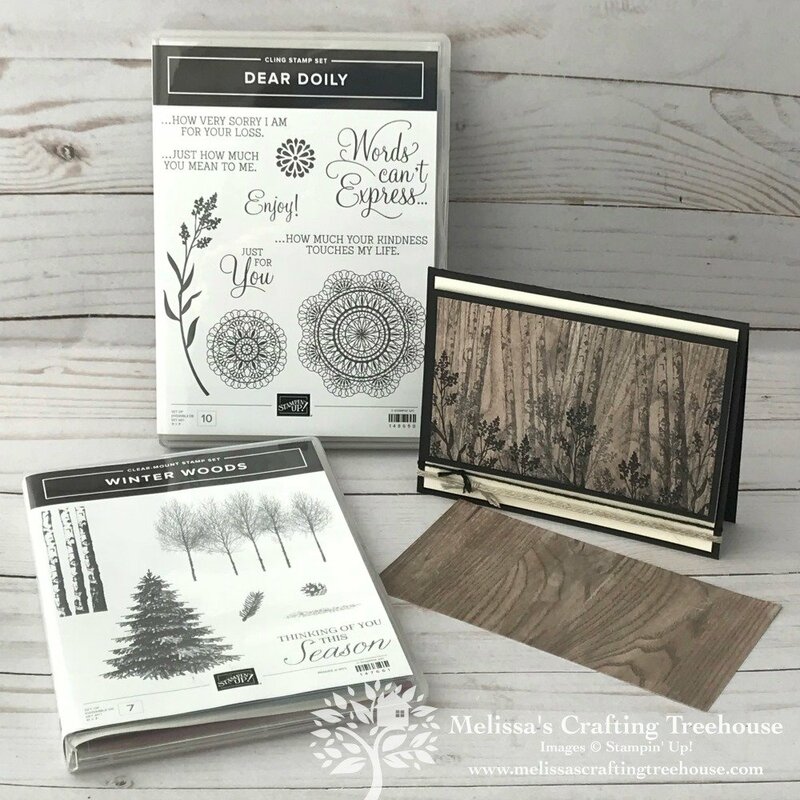 The Winter Woods and Dear Doily Stamp Sets were used for the stamped images. 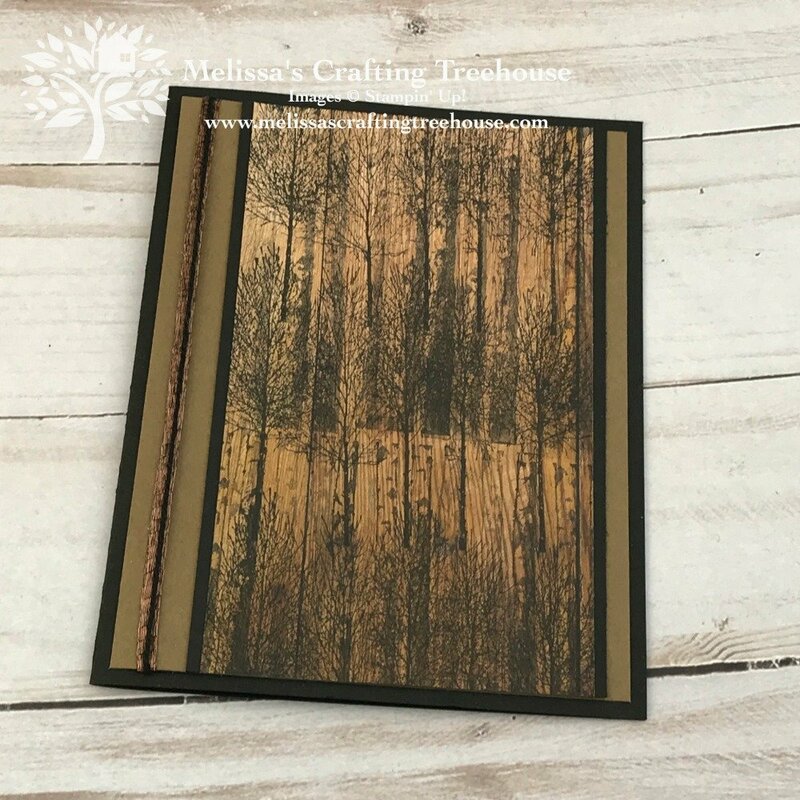 For this first card, I started with a piece of the Wood Textures DSP shown here and simply stamped images over the top. You’ll stamp the tree trunks in second and third inking, angling some of them to mimic the more natural look of a forest. I also masked some of the trunks in the center so I could overlap them and have some trunks look more in the foreground and some in the background. 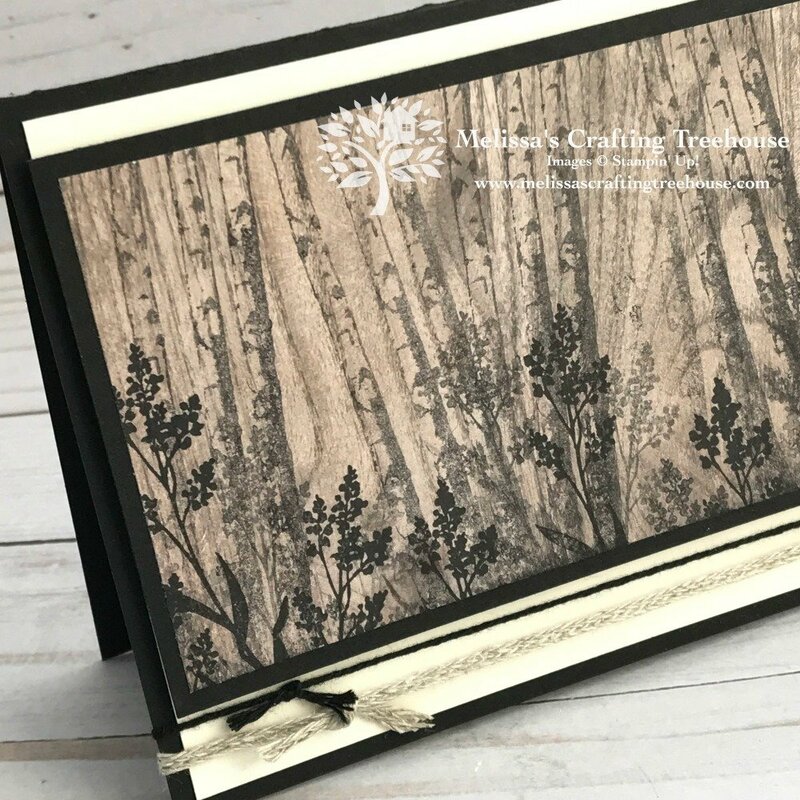 Attach the focal piece to the card body with Stampin’ Dimensionals. Tie the Basic Black Solid Bakers Twine and Braided Linen Trim around the card body at the bottom. In these next two closeups you can see the texture of the woodgrain paper in the background a little more clearly. 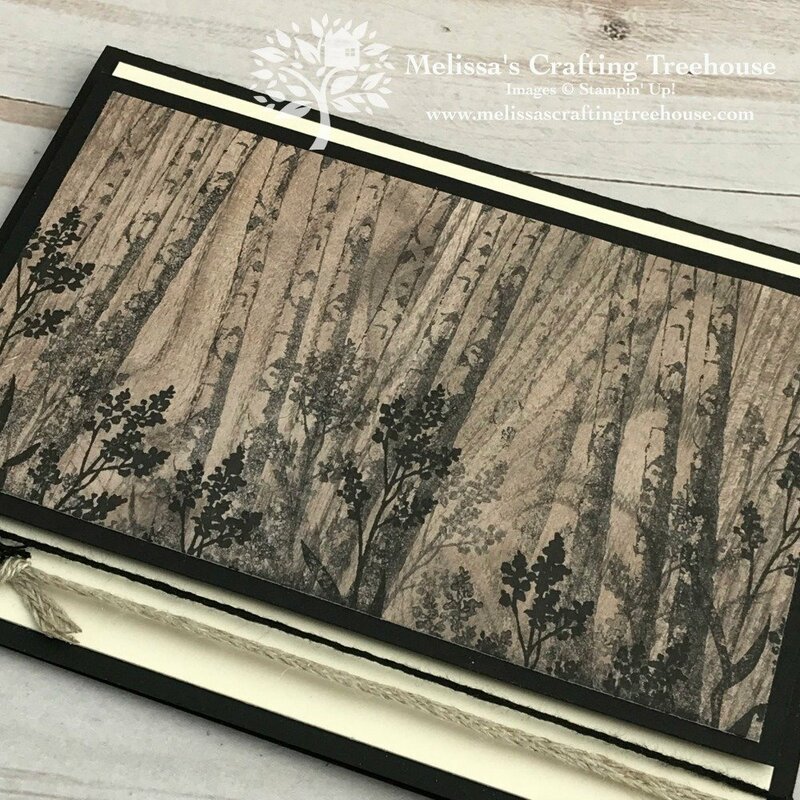 For the second card instead of trying to create a forest scene, I just used the images to create an interesting pattern with the textures and shapes of the stamps. 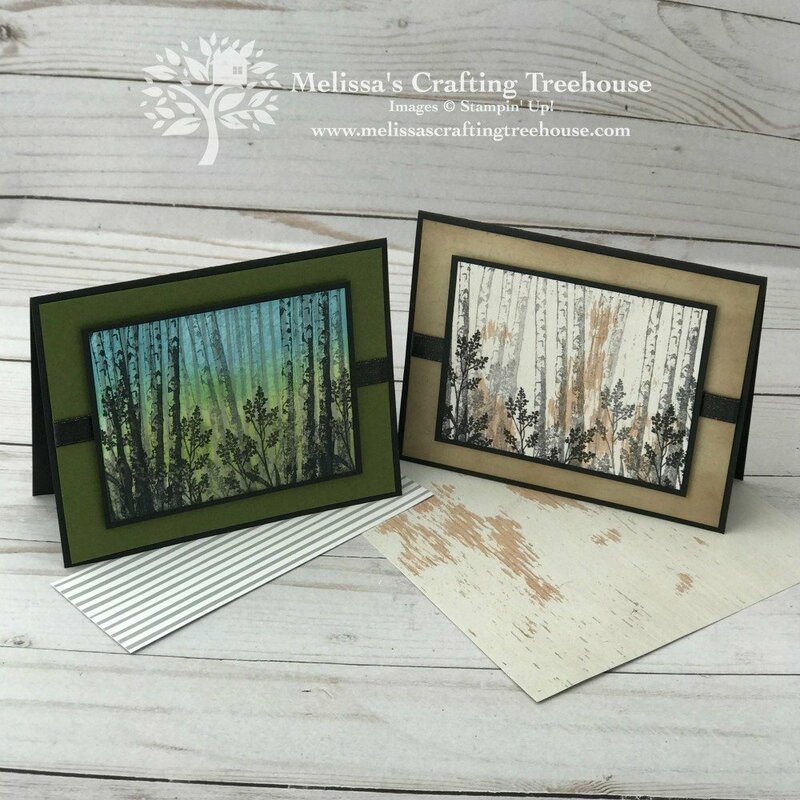 Two images from the Winter Woods stamp set were used to decorate the designer paper piece here. Starting at the top I stamped the tree trunks multiple times in second and third ink and then stamped with the same image across the bottom in the same way. The second image used was the four trees. This image was stamped in three rows. 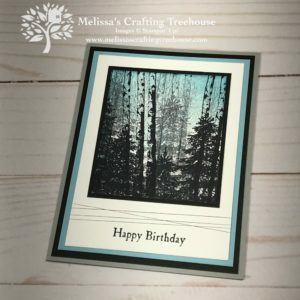 I couldn’t resist taking a photo of this card with my forest in the background. It’s blurry but it is really there! I also love the lighting on the focal piece here so had to share. This card was finished off by adding Some Copper Trim and Basic Black Solid Bakers Twine. They were attached with glue dots around the backside of the Soft Suede layer. The Copper Trim adds a little bling but it’s hidden behind the Bakers Twine so the shine doesn’t compete with the focal piece. This next design is a slight variation on the first two. Here I used one of the lighter wood grain DSP pieces from the Wood Textures DSP Stack. One subtle detail you may not be able to see is that I used the Crackle Paint Background stamp on the Crumb Cake layer. This image is stamped off because the image was too strong with full ink. The edges are sponged with Crumb Cake ink. 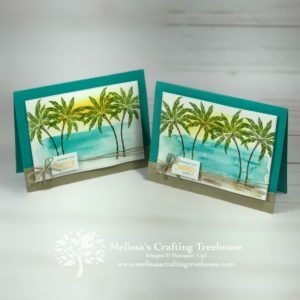 The last card design uses a different designer series paper from the rest! 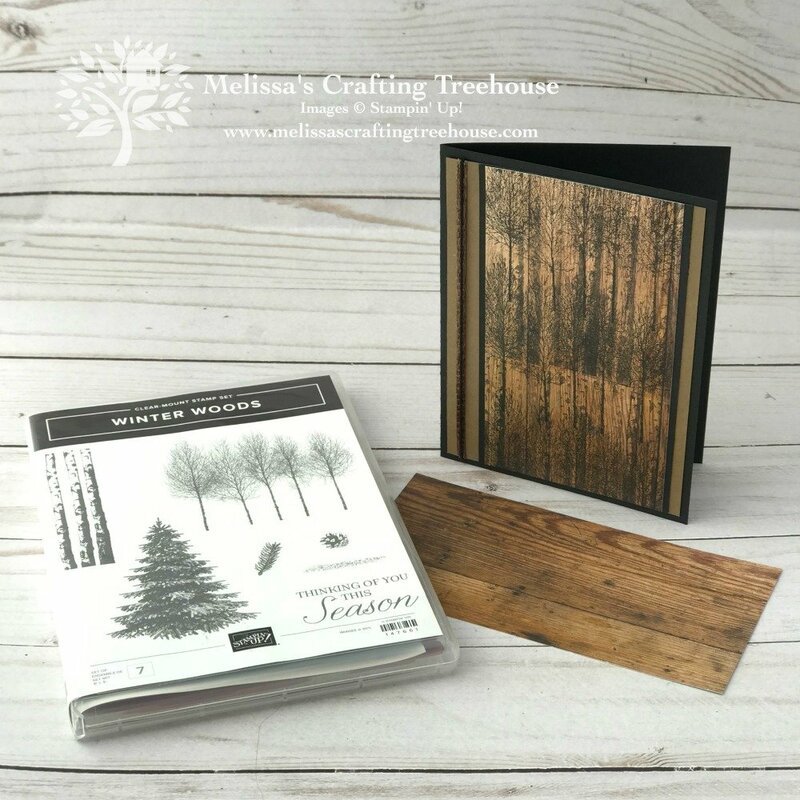 The Neutrals Designer Paper Stack was used here, specifically the Smoky Slate striped pattern. I also played around with one of the polkadot patterns but in the end did not make a card with that stamped piece. I did show it in the Facebook Live video in case you want to see it. It sort of looked like it was snowing in the forest. 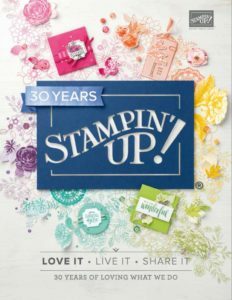 For some of the images here I’ve stamped with full ink, instead of using second and third ink as I did on some of the other designs. With the striped DSP, I figured the tree trunk images needed to be darker to create more contrast. 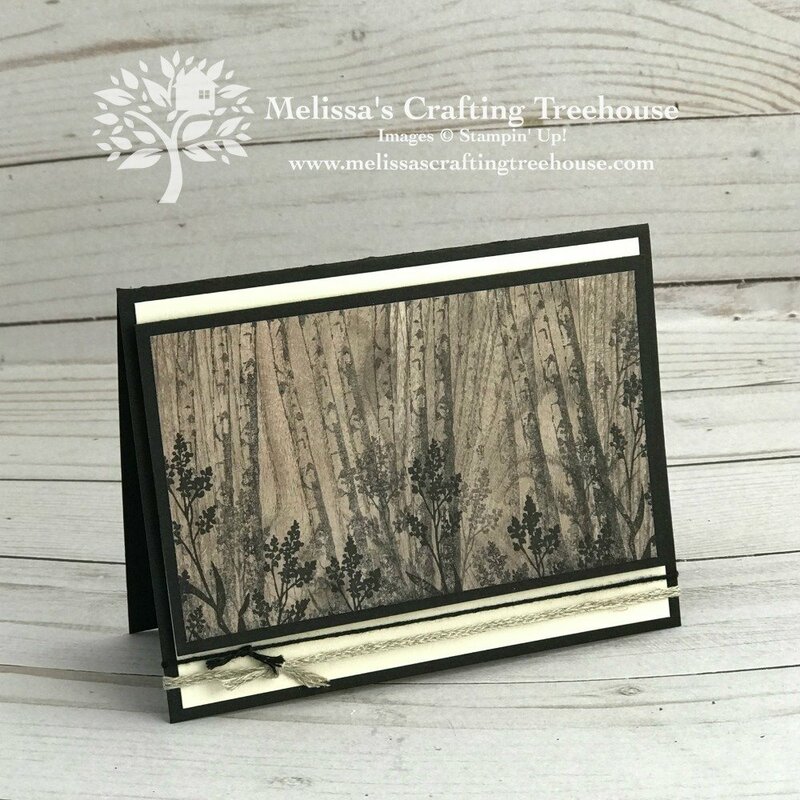 The focal piece is attached to the card base with Stampin’ Dimensionals. 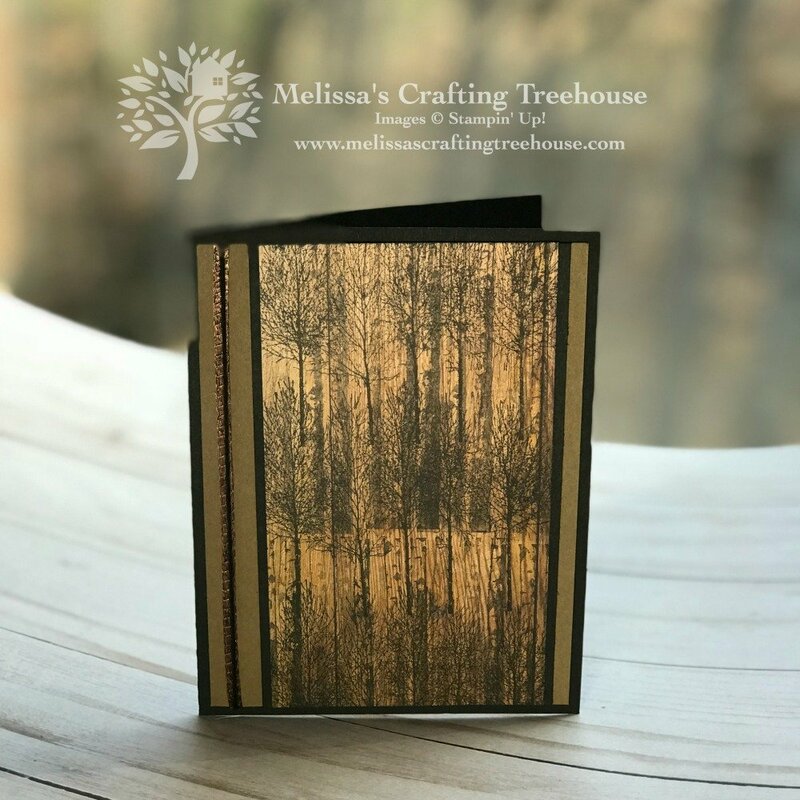 The Shimmer Black Ribbon is attached to the backside of the Mossy Meadow layer with glue dots. 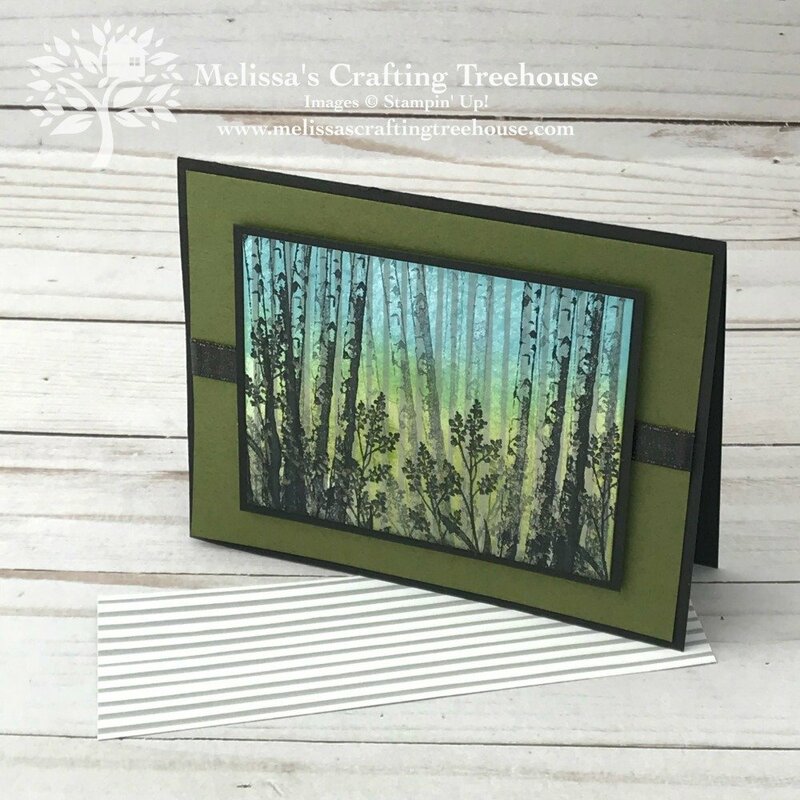 Last but not least, I’ve sponged the stamped piece with Mossy Meadow, Granny Apple Green and Balmy Blue ink to give the scene some color. Would you have guessed these cards were stamped on designer series paper if I hadn’t told you? Please leave a comment and let me know! It’s been a ton of fun stamping these cards and playing with these paper decoration ideas. I can’t wait to play with more designer papers in this way!!! 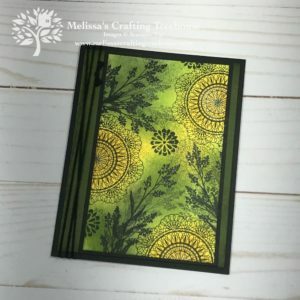 I challenge you to come up with your own designs decorating your designer series papers! If you take the challenge, please share what you created in my Facebook Live event from 1/31/19. If you do, you’ll get enter in a drawing to receive one of the cards I made in the FB Live Event. I’ll draw names for three winners on Thursday 2/7 and announce the winners in my live event which starts at 4pm that day. Click HERE to go to the Facebook Post with the Live event. 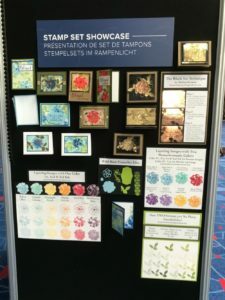 Are you interested in a Paper Crafter’s Technique Club? 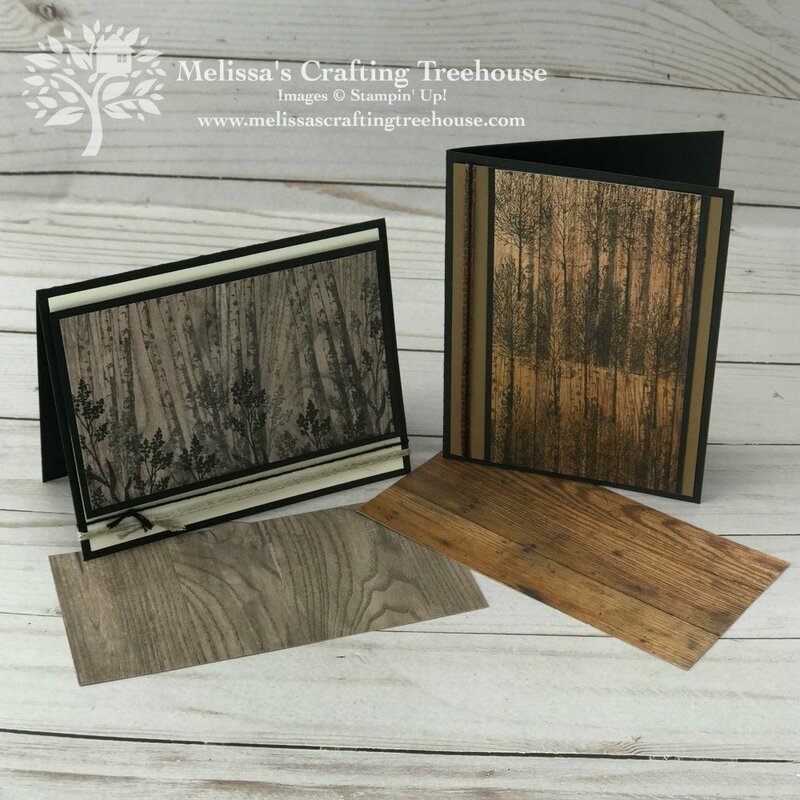 Would you like an organized way to document the techniques you know? We’d create cards and samples of techniques that would go in an album. I’m just starting to play around with the idea but would love to know if there’s interest. 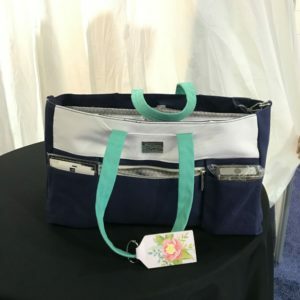 If you’d like to be notified if/when I offer a Technique Club leave a comment HERE on my blog! Click HERE and include the Text “Add me to the Technique Club Interested List”. Oh my goodness! These cards are absolutely gorgeous!!! I think I’ll be “casing” all of them! I love that Verna!!! Have fun playing with this and thanks for commenting. Love the ladies’ faces in the first design – photos #2 and #3. 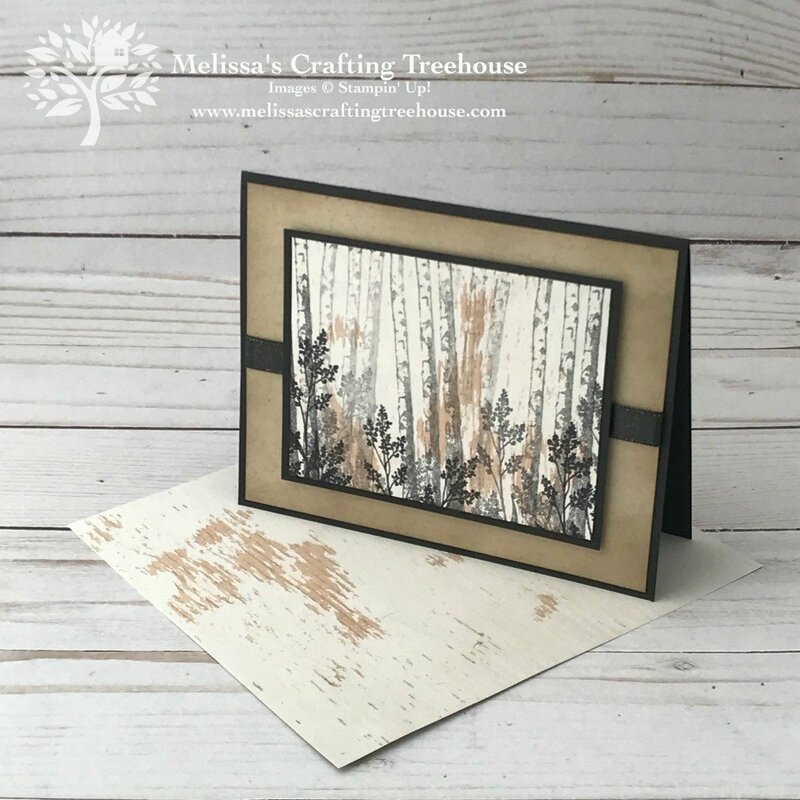 I know it is in the design of the birch tree stamp, and perhaps it is because you did multiple stamping, but it looks to me as if several women are standing sideways – all I see is their faces! Sort of like hidden pictures! Very pretty! It is so cool that you can see that in these photos. I looked but can’t seem to find the faces… wish I could! Either way, I’m glad you like these cards and thanks for commenting!